The Captain from Castile. 2014. The Captain from Castile from James Pederson on Vimeo. The Lawrence Welk Show from James Pederson on Vimeo. Rebel Without a Cause from James Pederson on Vimeo. Opening Reception from James Pederson on Vimeo. Lumpyvision. 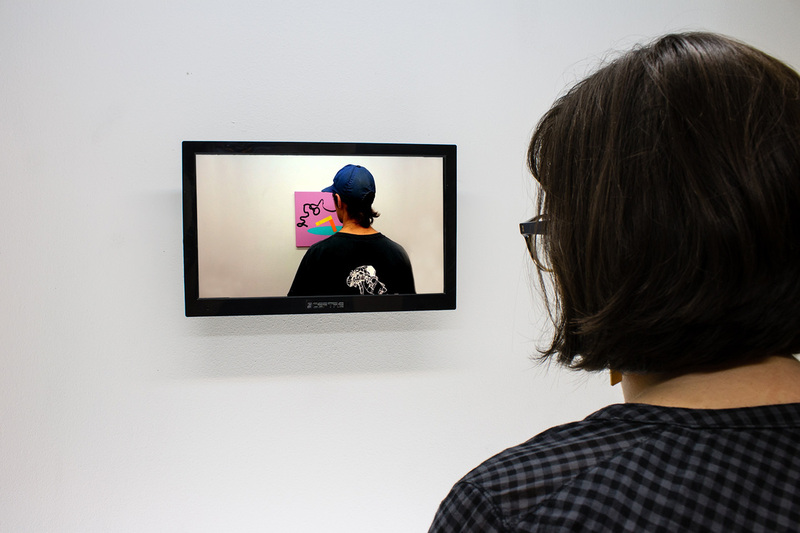 Flat screen television tuned to over-the-air-broadcast with heat-manipulated acrylic sheet, 11'' x 18'', 2014. Martelo e Prego from James Pederson on Vimeo.